The Schelle B6.1/B6.1D Nova Buggy Lockout Set offers a more direct power delivery and more aggressive acceleration out of the turns, so you can clear that jump you've be struggling to get over! The B6.1 version is a V2 design with screw-on spur gears. It's easier to assemble, and works with both the B6.1 kit top shaft OR the short direct drive top shaft. The Nova Buggy Lockout Set is a direct connection of the motor to the tires. Pure racers like to remove the kit slipper clutch and go with direct drive (AKA - "lockout"). With lower weight and no slip, maximum power goes to the tires. The Lockout Buggy Set sheds weight down to a bare minimum 2.3 grams while keeping the tried and true Nova Spur gears (4.6 grams total including the spur gear). A 69 tooth and 72 tooth Nova Spur gear are included for all the tuning options a racer could need for tight or wide-open layouts. Includes 69 and 72 spur gears. Special blend Nova Spur Gears are strong, true round, and quiet running. Everything you need is included to work with the kit top shaft, nothing else to buy. Easy to assemble! Direct fit to the B6.1, B6.1D only. Does not fit the older B6 and B5M models (see SCH1303). 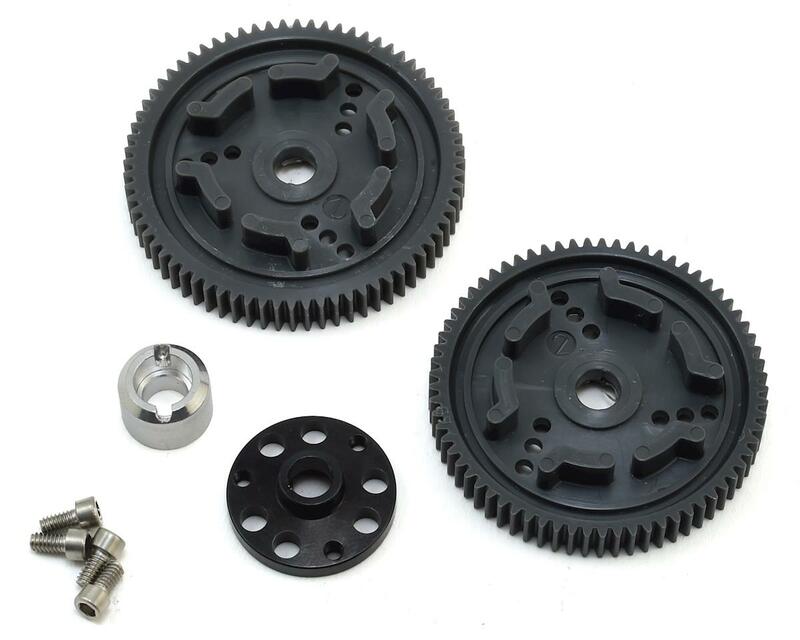 B6.1 lockout parts also compatible with Avid Triad spur gears. PRO TIP: To ensure the spur gear clamps flat against the lockout hub, Schelle recommends slightly enlarging 2 of the mount holes with a 3/32" drill bit, x-acto, or body reamer to give the screws a little wiggle room. This really helps the spur gears sit perfectly flat against the hub. 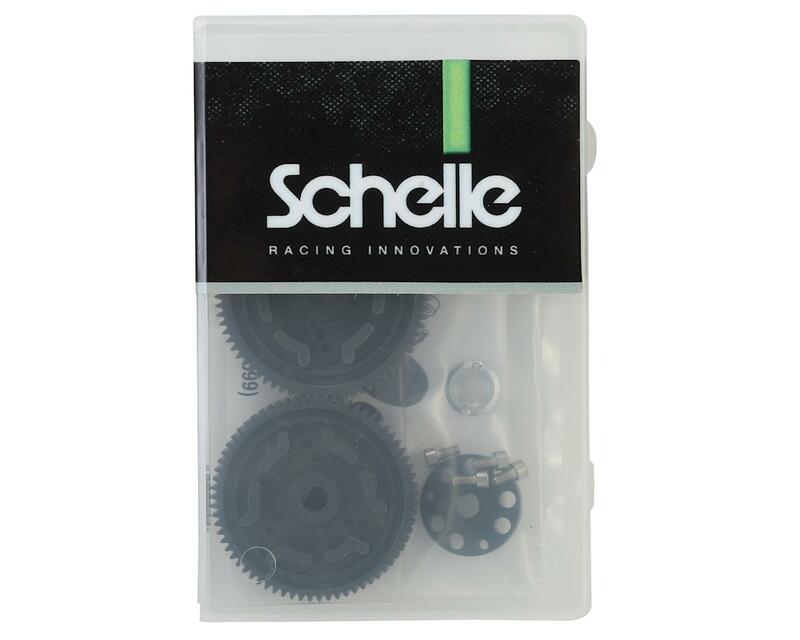 Schelle has performed this process to the two spurs included in the package.